Mockingbird Crossing in Naples, FL is a new construction gated community of single-family homes on estate sized lots from eighty-five to ninety-five feet wide. Finally build the new home you dreamed of on a large lot at Mockingbird Crossing Naples. These homes have more space between them than any new construction around. 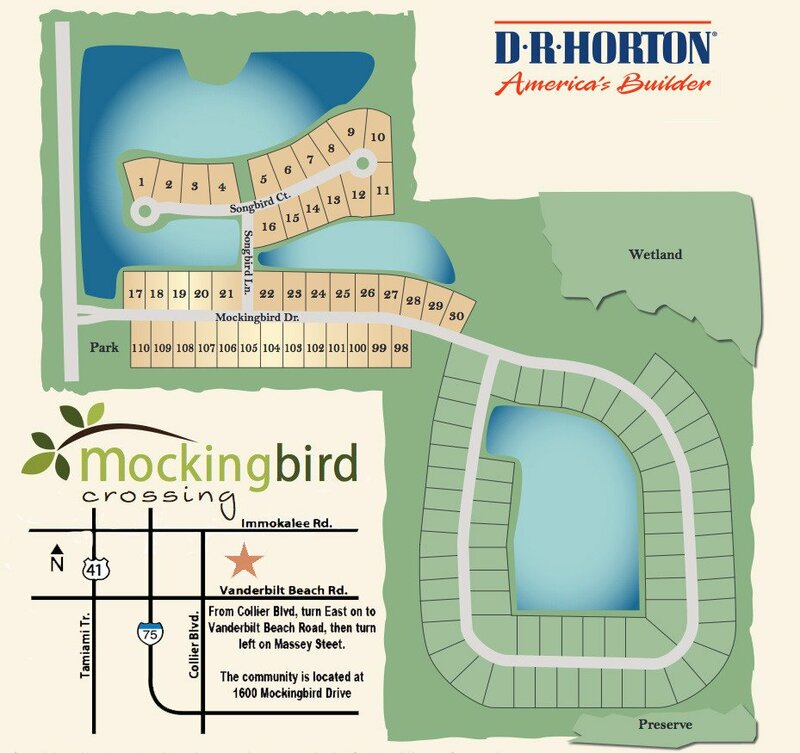 Mockingbird Crossing has only 110 lots for sale on Mockingbird Dr. Don't miss this amazing opportunity! Homes at Mockingbird Crossing are a tremendous value. The wide lots make them even more desirable. Even the locals who live in Naples full time are seeing the value. Our friends the Johansen’s are headed out to drop off their deposit check today before the lot they like is taken.